Claim To Fame: Thomas found fame as the tough-talking police officer (later Sergeant) Lucille Bates on the TV series Hill Street Blues. Info: Before becoming an Emmy-winning actress and later director, Thomas was a high school art teacher in Chicago who took a second job as a waitress at the Second City improvisational club to earn extra money. While there, she was encouraged to take an improv class, and subsequently joined the company as a member for three years before moving to Los Angeles when the troupe opened a West Coast branch. Although this venture didn't pan out, it helped Thomas get her foot in the door, and she snagged a regular role on the NBC game show The Fun Factory. She also landed small parts in the TV-movie Outside Chance, and the feature Used Cars. In 1981, Thomas began her run as cop Lucy Bates on "Hill Street Blues" (NBC, 1981-87). Over the course of the series, she went from inexperienced rookie to confident sergeant and earned seven Emmy nominations (Best Supporting Actress) for her work, taking home the award for the 1984-85 season. The show's executive producer Steven Bochco later hired her to direct episodes of "Hooperman" (ABC, 1987-89), and the premiere episode of ABC's "Doogie Howser, M.D." in 1989. She fell in love with working behind the camera, and abandoned acting to direct episodes of such series as "Star Trek: The Next Generation", the pilot and premiere episode of the short-lived ABC series "Arresting Behavior" and several episodes of the HBO series "Dream On", for which she won her second Emmy as Best Director. She made her feature film directorial debut in 1992 with Only You. She went on to direct several films, including The Brady Bunch Movie (1995), Private Parts (1997), Dr. Dolittle (1998), 28 Days (2000), and I Spy (2002). Trivia: Is an alumnus of the Second City comedy troupe. 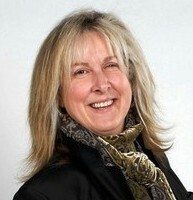 Graduate of Ohio University class of 1969 with a BFA. 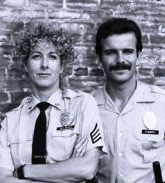 A 1984 promo for the St. Louis NBC affiliate showed scenes from several NBC shows, including one from "Hill Street Blues" (1981), featuring St. Louis native Betty Thomas. Where Are They Now: In 2006, Thomas directed the comedy John Tucker Must Die, about three high school girls who seek revenge on their cheating ex. Last month, she signed on to direct Alvin and the Chipmunks: The Squeakuel, a follow-up to the 2007 box office hit Alvin and the Chipmunks. She is in talks with 20th Century Fox about directing the bigscreen adaptation of the TV series Dallas, with John Travolta reportedly taking on the role of J.R. Ewing.